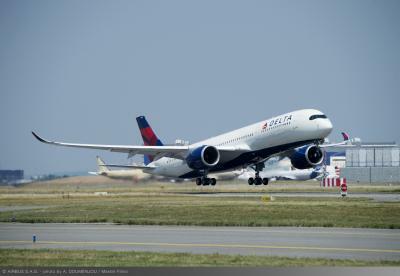 The American airline Delta has announced the schedule for its new flagship, the Airbus A350-900 aircraft, It will operate one of four daily flights between Detroit Metropolitan Wayne County Airport and Amsterdam's Schiphol Airport, with effect from 31st March 2018. It means Amsterdam will become the first trans-Atlantic destination for Delta's new A350 aircraft. The airline will also deploy the technologically advanced A350 on Detroit-Shanghai service beginning 19th April 2018. 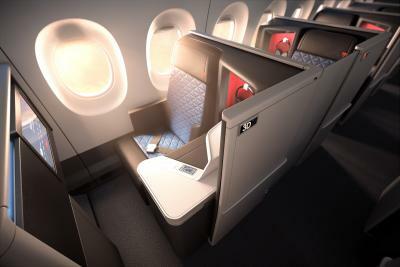 With the addition of Amsterdam, Delta will fly five international routes from Detroit using the A350. The first aircraft is scheduled to enter service later this month between Detroit and Tokyo-Narita on 30th Oct. with service to Seoul, Beijing and Shanghai starting 18th Nov. 17th Jan and 19th April respectively. "The A350 on one of four daily Delta flights between Detroit and Amsterdam will be a great asset for its enhanced customer experience and the superb operating efficiencies it will bring," said Dwight James, Delta's Senior Vice President – Trans-Atlantic. "Amsterdam is our largest European hub and we're delighted that Delta customers and those of our joint venture partner, KLM, will be able to enjoy an all-new Delta in-flight experience between Europe and the United States." The Delta A350's feature the 'One Suite' which offer up to 32 customers a private, personal experience, with a full-height door at every suite for enhanced privacy and comfort. Each suite features a fully flat-bed seat with direct aisle access, as well as more storage for personal items, larger in-flight entertainment screens and memory foam enhanced comfort cushions. The Delta Premium Select has been designed with comfort in mind, Delta Premium Select offers more personal space with up to 38 inches of pitch, seat width of 18.5 inches, seven inches of recline and adjustable leg and headrests. Customers will arrive well-rested thanks to upgraded pillows, blankets and amenity kits to give them all the travel essentials they need to settle in. Whereas in the normal economy Main Cabin passengers benefit from free seatback in-flight entertainment on high definition screens, in-seat power ports at every row and high capacity overhead bins. Meanwhile, the A350 features larger windows and optimized cabin pressure, temperature and humidity to help customers feel more refreshed after a long-haul flight.